My perspective on watches has always been about the meaning behind what you have on your wrist, and not the price tag that was on it before you owned it. For me, watches are a timestamp of memories and certain times in my life. Sometimes I'll remember a time when important complimented me on it before a big meeting, or if a significant other gave me as a gift. No matter what, watches always serve the same purpose that music does in my life - to bring me back to times that I wish I could relive again. 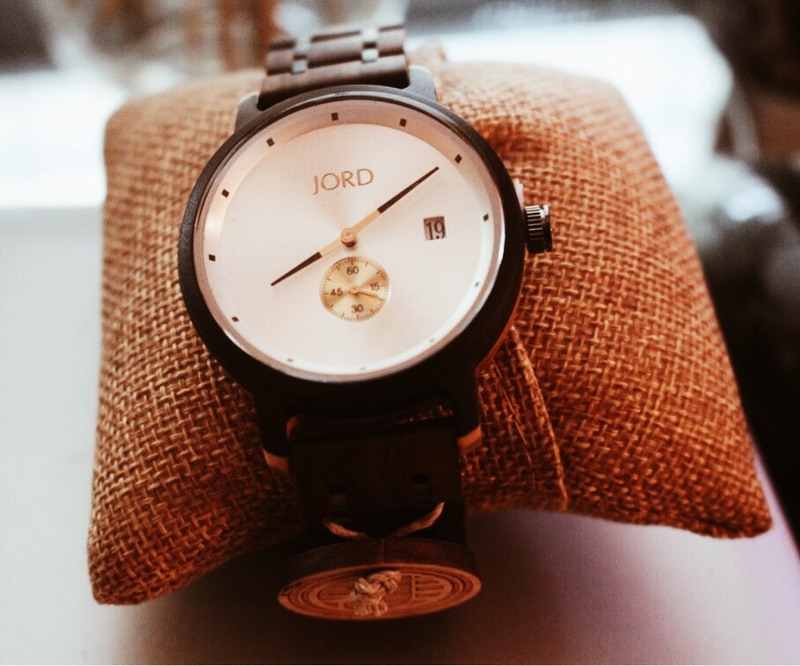 JORD Watches provides their own unique twist on the way that men keep track of time, and their twist is that all of their watches include wood on the strap or on the face. It's a great conversation starter, is a versatile design useful for business or casual environments, and they're just downright comfortable. JORD produces a high quality product, and I have been a fan of their work since before I worked with them a couple years ago...and trust me, once you find a reliable watch company with great prices and an even greater product, it's hard to stray away from the brand. 4) Follow them on Instagram to increase your chances of winning!